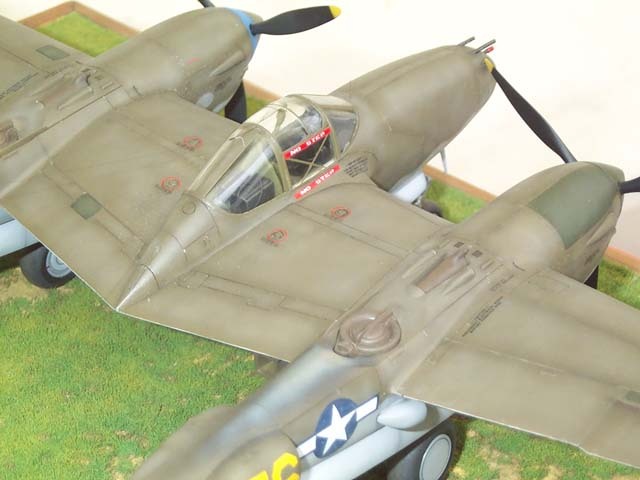 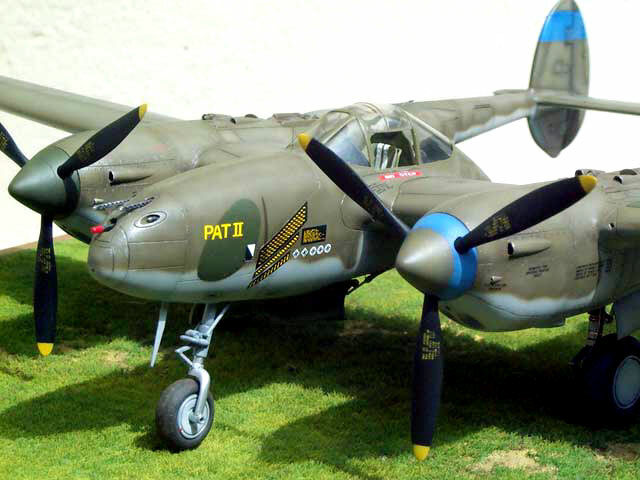 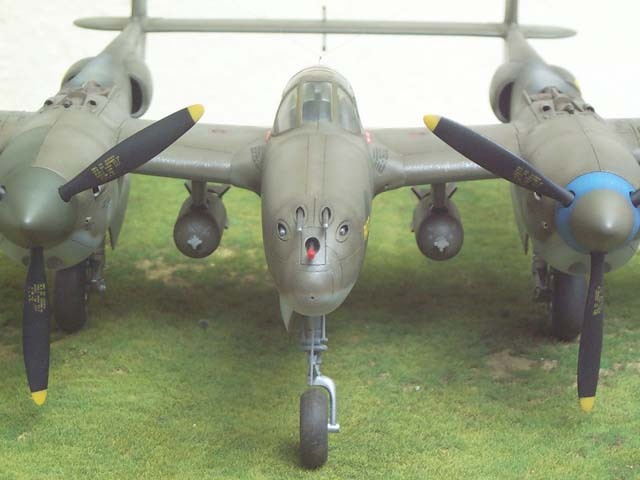 Here is my 1/48 scale P-38 Lightning from Academy. 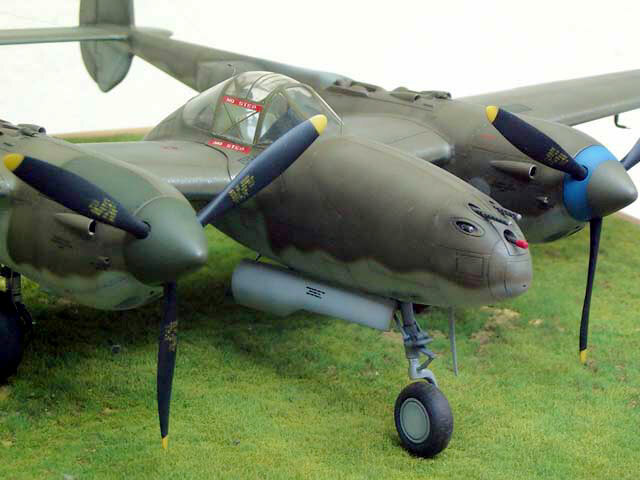 It was built mostly out-of-box. 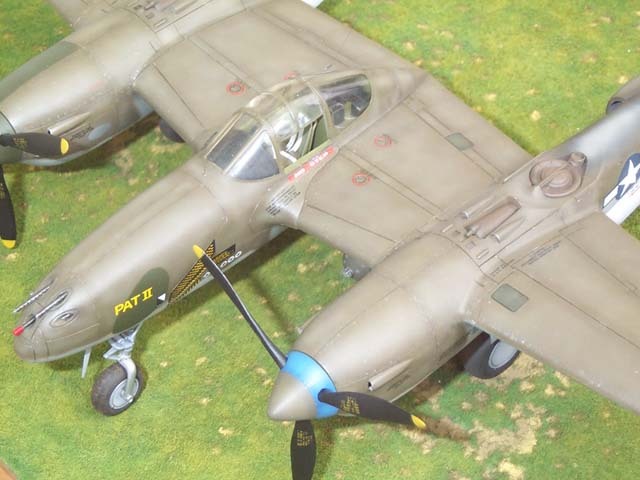 I only added hidraulic lines to the main gear, some cables to the radio compartment, a blade antenna to the nose and seat belts cut from a white plastic bag. 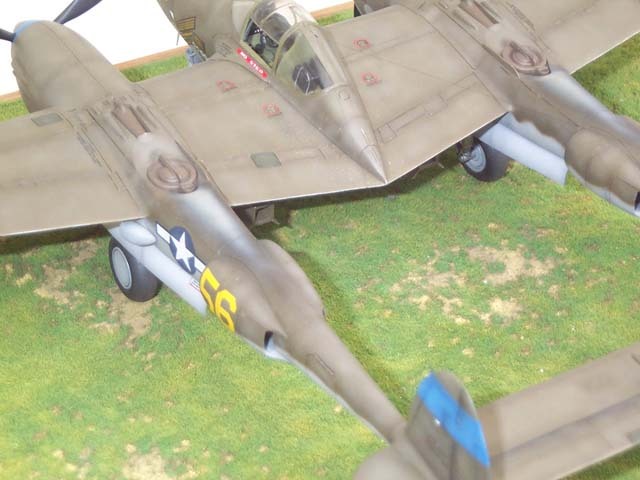 I used AeroMaster's 48-058 Early Lightnings decal sheet for the markings. 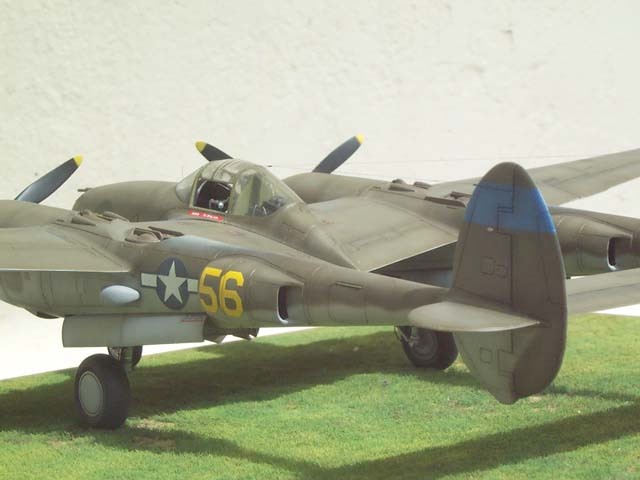 The plane I modeled was flown by 14tg FG CO Col. Oliver Taylor; in Foggia, Italy April 1944.